Hello. 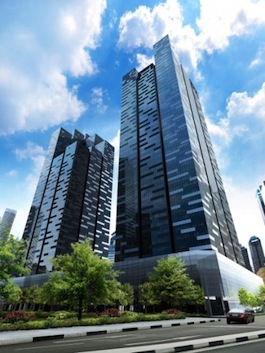 I saw your listing on Moveandstay for Regus - Singapore, Asia Square: from 26 April 2019 to 26 May 2019 I like to learn more. mixed development will boast a five-star hotel with 280 rooms and 60,000 square feet of retail and Food & Beverage space. It also features The Cube, a unique open public space of 100,000 square feet. This provides an informal and creative environment for networking and relaxing, and will offer a regular programme of exhibitions and performances. Asia Square is intelligently designed to optimise tenants lifestyles. On the 6th flooris a state-of-the-art gymnasium, and the building has extensive bicycle racks,showers and changing room facilities. Asia Square has a full-service conciergeto help tenants with any type of request - they can take laundry, grocery,or gift shopping off your hands. These are just some of the invaluablefeatures of this award winning building. Asia Square is conveniently located minutes away from Raffles Place andMarina Bay MRT stations and will have an underground link to theDowntown MRT Station on the Downtown Line.